Decided I would try to stack and blend some images I took of waves crashing into rocks. 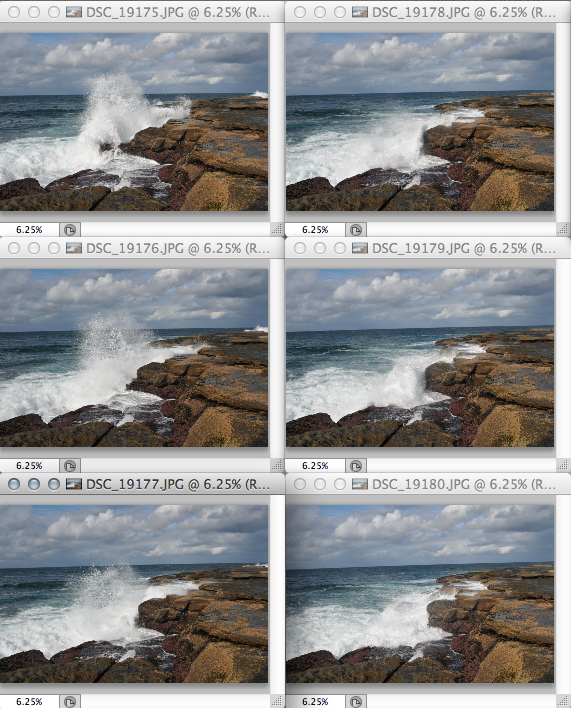 The main problem I had was that since I didn't have a tripod with me, I needed to align the images. 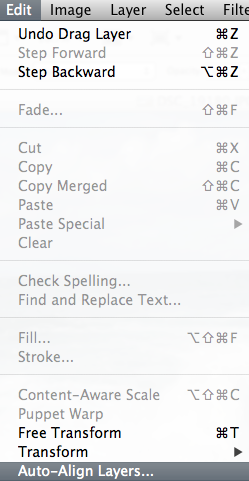 In Photoshop you can do it two ways, it seems. 1. 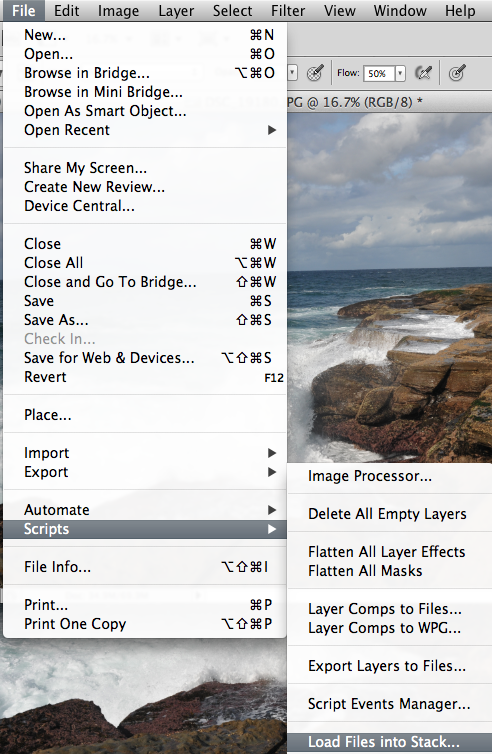 Load the images first, drag them all into the the same image, select them all, and then do Edit > Auto Align Layers. I found this didn't actually align the layers very well. 2. 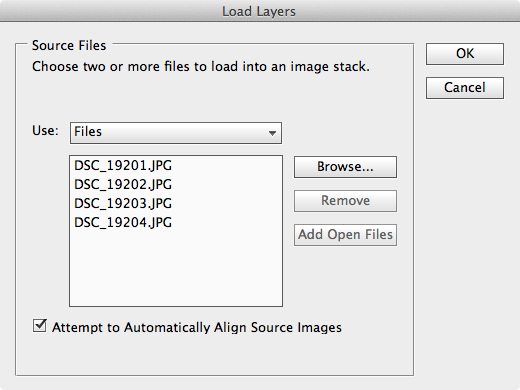 A better method is to use File > Scripts > Load Files into Stack and check "Attempt to Automatically Align Source Images"
When you've selected the images, ensure "Attempt to Automatically Align Source Images" is selected, then click OK.
Then, to get the affect I'm looking for select all layers above the first image later, and change the Blending Method to "Lighten". 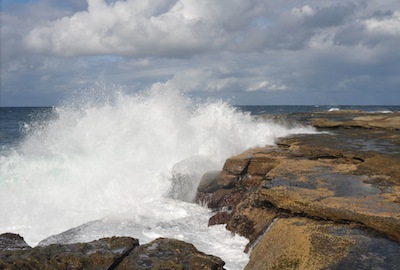 Since the crashing waves are white, and much brighter than the rest of the scene, the waves becomes additive.